Based on reviews from 108 experts and 13,600 users. Learn how our rankings work or see our guide to Nike training shoes. Updated Apr 2019. The Nike brand name and the Swoosh logo are well-known the world over. It is on the list of the Top 20 Most Valuable Brands in the world with a revenue of about $30 billion per annum. It is also the parent company of other popular shoe and apparel brands such as Jordan, Hurley, and Converse. Nike got its start selling running shoes but has since broadened its scope. It sells different types of footwear ranging from casual or lifestyle sneakers, to sports, gym and training footgear, sandals and flip-flops, as well as athletic and workout apparel for men, women, and kids. The brand prides itself on creating merchandise that delivers what the wearer needs to be on top of their game. Just like in its other footgear, Nike training shoes are designed specifically for the type of activity the user wants to focus on. For people to perform their best or achieve a new personal record, they must wear shoes that won’t cause any discomfort or injuries during workouts. Choosing a pair seems a pretty easy task, but there are so many options that it begs the question, which pair of Nike training shoes should you get? Here are a few factors to help you figure that out. Are you going to be weight training? Doing CrossFit? Or are you just starting out with your fitness regimen and want to try different things to see what sticks? If you don’t require a shoe that’s too specific about a certain type of activity or if you’re an entry-level gym-goer, then you can opt for Nike workout shoes. These models are reasonably priced and work efficiently for most types of exercises. For more demanding training regimens, you may turn to Nike CrossFit shoes. These trainers are designed to be more durable than standard workout shoes and also have special reinforcements that help during rope climbing, sled pushes, and handstand pushups. In their core, Nike CrossFit shoes are constructed to bridge the gap between high-impact workouts and weightlifting. As a result, they tend to be pricier than regular workout shoes. 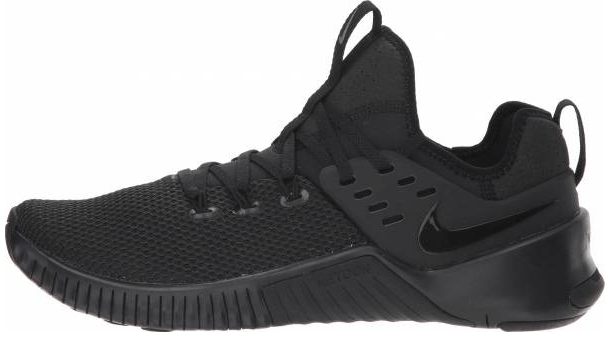 If your sole focus is building muscle by lifting weights, then your best investment is a dedicated weightlifting shoe from Nike. Though the trainer is marketed for people who cross-train, it is designed primarily for weight training. Users could sport it for cardio, but because of insufficient cushioning, they might experience foot fatigue quickly. Weightlifting shoes are usually made of stiffer materials and are not meant to be used for running or walking for extended periods. Aside from the brand name, the quality of the footwear, and user reviews, another driving factor that influences a person’s choice is the price. The cost of Nike training shoes ranges from $65 to $200. During a sale, rates can be reduced by as much as $50. Most Nike training shoes in this bracket do not have special features. The upper is made of mesh, leather, textile, or synthetic materials that are durable and lightweight but may not be as attractive looking as the more expensive models. Nike training shoes that fall into this category sport a more stylish flair. These models tend to employ Flyknit, Flywire, and other proprietary technologies for enhanced performance. Nike Metcon shoes for CrossFit typically can be found in this category. Consumers can even customize some trainers in this price range. Nike training shoes in this price group are made with top of the line materials. Weightlifting shoes also fall into this category. Limited release models also tend to be more expensive. Nike training shoes cater to both men and women. The size availability depends on the model of the trainer, but generally, men’s footwear ranges from US size 6 to 18 while the women’s versions are available from US size 5 to 15. Half sizes are also available for both genders. As for the width, Nike training shoes are generally offered in a medium profile, which is D for men and B for ladies. The Metcon 4 is designed for high-intensity workouts such as CrossFit and Les Mills. It uses mesh for the upper while the high-wear areas are reinforced with 3D printing. The outsole on this pair of Nike training shoes is made of sticky rubber that provides excellent traction, especially on gym floors. The textured rubber extends upward at the medial and lateral midfoot to enhance lateral support. It uses a drop-in midsole to provide a comfortable footbed that protects the foot from impact. In the Free x Metcon model, Nike combines two of its renowned footwear lines in an attempt to create a universal shoe in which one could run, jump, and lift. In a nutshell, it uses flexibility and cushioning of a Free shoe and mixes it with stability of a Metcon. The forefoot section of the trainer is made with freedom of movement in mind and is ready to accommodate exercises like sprints, box, jumps, high-impact cardio, etc. The back portion of the shoe aims to deliver optimum stability for multi-directional transitions and lifting. The heel is wrapped by the raised midsole and the TPU cage to keep it locked in place. In addition, the bootie collar renders ankle support while the Flywire cables prevent the foot from sliding around inside the shoe. The Nike Romaleos 3 caters to those who incorporate a lot of weightlifting into their training routine. The upper is made from a combination of mesh and synthetic leather to deliver a breathable yet supportive construction. It has a single midfoot strap that locks the foot down. Durable rubber is used for the outsole on this pair of Nike training shoes. It sports a virtually flat profile to keep the foot planted to the ground. 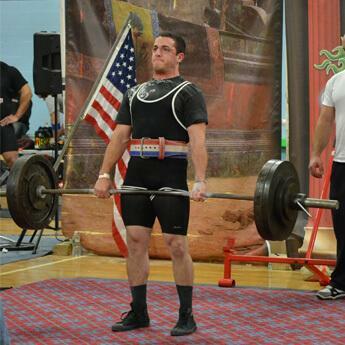 The shoe also features an elevated heel that allows wearers to squat deeper or perform better deadlifts. It comes with two interchangeable insoles, a soft and a firm option, to suit the wearer’s needs. The Nike brand name did not make an appearance until 1971, but the company has been around since 1964. Philip Knight was a middle-distance runner at the University of Oregon. He was coached by Bill Bowerman, who was one of the top running coaches in the U.S. at the time. Bowerman was also known for tinkering with running shoes to make them lighter and absorb shock better. After getting his Master of Business Administration degree from the Stanford University, Knight went to Japan and reached out to Onitsuka Tiger Co. Ltd, one of the most popular running shoemakers back then, and convinced them that there was a massive market for their running shoes back in the U.S. In 1963, Knight received the first shipment of the Onitsuka Tiger trainers. A year later, Bowerman and Knight invested $500 each in building the Blue Ribbon Sports (BRS) company. Their partnership with Onitsuka Tiger ended when the Japanese company was accused of breach of contract by looking for other U.S. distributors in the U.S. Another case was filed for trademark infringement because they were allegedly selling eight models that BRS registered in the U.S.
Knight wanted to reinvent BRS, so he commissioned Carolyn Davidson, a graphic design student at the Portland State University where he was teaching an accounting class. She presented him with four options, one of which was the now-famous Swoosh logo. Because of production deadlines, Knight had to choose from the four designs and settled on the Swoosh. Davidson recalled Knight stating that he was not fond of the logo but felt that maybe it would grow on him. The next step was changing the company’s name. Knight wanted to rename BRS as Dimension Six, but he was the only fan of the name. So, Bob Woodell, the company's first president, made a call to Jeff Johnson, BRS’ first employee, telling him that Knight wanted to change the company name and they needed to come up with one by 9 a.m. the following day. they sound exotic or have the letter Z, X or K in the title. Johnson woke up with a name in mind, Nike. It was the name of the winged Greek goddess of victory. Knight was presented with the names Peregrine, Bengal, and Nike. Just like with the logo, Knight was not a fan, but because of manufacturing deadlines, he picked Nike stating that it was the best of the bunch. In the 1960s, running led the physical fitness revolution. But in the 1980s, fitness enthusiasts realized that aside from running, there were other workout options. They could engage in casual sports or go to the gym for some cardio or weight training. Nike designer Tinker Hatfield dabbled with different types of gym activities at that time too. But the problem he encountered was that he needed to bring multiple pairs of shoes for each training activity. This inconvenience inspired him to design the brand’s first cross-training shoe called Air Trainer 1. What made this Nike training shoe different from other workout footwear was that it could be used for cardio workouts, weight training, and even basketball. The ultimate training shoe. The Nike Air Trainer 1 featured a high-cut design that aims to support the ankle. The outsole formed outriggers at the lateral and medial sides of the midfoot section which added stability to the sole unit. Aside from the lace-up closure, it was also outfitted with a single strap at the midfoot for a more locked down feel. The most notable difference the Nike training shoes had compared to basketball and running footwear was the heel. Running trainers have higher heel height to cushion the footstrike while basketball sneakers have a relatively low heel. The Nike training shoes’ heels fall in between. They are high enough to absorb the shock effectively when used for running but are also adequately low to provide stability during gym workouts or even playing basketball. John McEnroe, one of the most iconic tennis players in the world, was coming back after a 6-month hiatus. He contacted Nike about his return and wanted a shoe that would suit his unique playing style. Nike sent a bunch of prototypes to McEnroe, which, unbeknownst to Hatfield, included the Air Trainer 1. Just like Nike’s name and logo, the least likely contender was the one that clicked. According to McEnroe, the moment he tried the pair of Nike training shoes on, he knew it was the perfect fit. 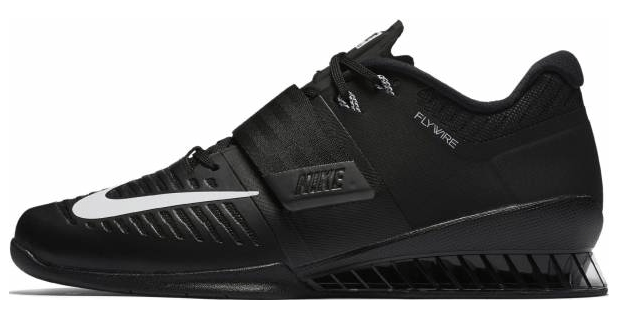 The high-cut design provided support for his ankles while the cushioning platform delivered the necessary bounce to keep him moving on the court. He was instructed to only use the Nike training shoes prototype during the practice. But McEnroe was not one to do as he was told. He wore the Nike training shoes during his comeback, won that game and the next two tournaments. McEnroe is an exceptional player, to begin with. However, the footgear might have helped him concentrate on his game more because he didn’t have to think about his feet. He refused to return the Nike training shoes and demanded more, which Nike obliged to. The brand provided McEnroe with two more versions that were fitted with court-specific outsoles. The Nike Air Trainer 1 was officially released to the public in 1987. It is one of Nike’s most iconic training shoes. Since then, it has been refreshed numerous times and sported different combinations of materials, colors, and prints. Its most recent incarnation can be observed in the Nike Air Max Trainer 1 workout shoe. What are Nike training shoes used for? Nike trainers can be used for different types of workouts such as cross-training, weightlifting, and high-intensity workouts such as CrossFit and Les Mills. Though Nike training shoes are made to be versatile, the brand also offers dedicated training shoes for weight training and CrossFit that assist users in reaching their personal best. Can I use Nike training shoes for running? Yes, you can do some running in these trainers, but they won’t have the same amount of cushioning as running shoes. Some workout and CrossFit shoes from Nike are good for short runs and sprints, but wearers may feel pain or discomfort when using them for longer runs. Besides, people who are used to heel striking will also notice lack of padding and shock absorption in the heel area. How do I know if my Nikes are original? Bend them - The sole unit of Nike training shoes does not easily lose its form. If in doubt about the authenticity, simply bending it can give consumers an idea if the trainer is legit or not. The footwear should quickly return to its original state after being bent or twisted. Tag - Inside the tongue of a Nike training shoe is a label that indicates the size, stock keeping unit (SKU), where it was made, when it was made, and some of the details that could tell you more about the shoe. In some Nike training shoes, the label is stitched on the tongue; others appear as overlays. If the tag looks like a sticker that can easily be removed, then it’s a fake. The tags should not be quickly peeled off from the shoe. Stitches, seams, and overlays - Nike training shoes differ in construction. Some use stitched overlays, others employ fused ones; some models feature a one-piece construction while others have seams because different parts are connected. No matter how the façade is made, seams should not have any gaps, the fabric should not be frayed, and stitches should not be unraveling especially when it hasn’t even been used yet. Also, fused overlays should not be peeling off of the upper. Check the SKU - The SKU on the shoe tag and the one on the box should match. It is often seen as a barcode and is used to keep track of the inventory. Symmetry - Each pair of Nike training shoes are mirror images of each other. They should have the same length and width. The design and style should also be symmetrical. How do I clean my Nike trainers? Nike training shoes can get dirty fast, especially when used outdoors. Nike recommends cleaning the dirt off immediately to prevent staining or caking in as that could deteriorate the material of the trainer. To clean Nike training shoes, first, you must remove the dried dirt using a soft brush or toothbrush. Then, prepare a small amount of soap or mild detergent and warm water to make a cleaning solution. Dip a clean cloth, sponge or brush in the solution and gently scrub the dirt off. Use another clean cloth, sponge or toothbrush and warm water to remove the soapy solution off of the shoe. Dry the Nike training shoes at room temperature. Nike does not recommend machine washing or drying any of its footgear to prevent degradation. Can training shoes from Nike be customized? Yes, some Nike training shoes can be customized. 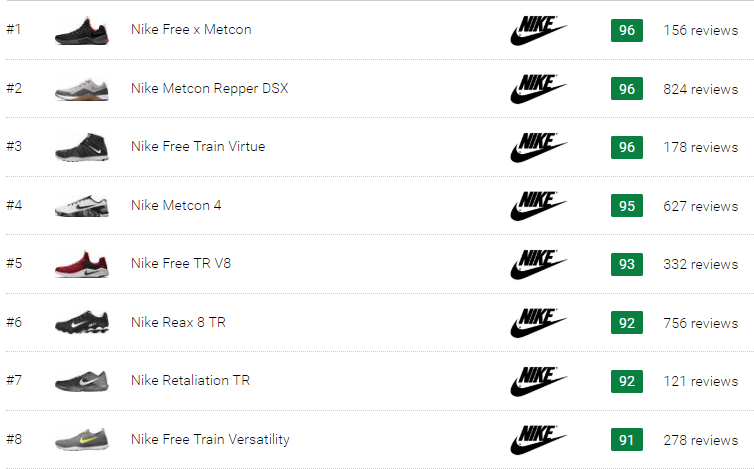 On the Nike website, hover above the Customize tab and choose the NikeiD from the dropdown menu. There, you will be presented with blank canvases of the different models that allow customization. Choose which pair of Nike training shoes you want to personalize, then start creating your one-of-a-kind footgear. You can select the type of material used in the upper, the color, and the technologies you want to be used on it. When should I replace my Nike training shoes? As a general rule, Nike training shoes should be replaced every six months. But how often it is used, what it is used for, and where it is used are also important factors to consider when replacing shoes. If you use your pair of Nike training shoe on a daily basis, on the pavement, during high-intensity workouts, then it might not even last a full six months. If it is only used a couple of times a week, in the gym, doing moderate exercises, then the trainer might last longer than six months. The thing to remember is if the midsole no longer absorbs shock, the outsole is peeling off or doesn’t provide any traction, the upper has holes in it or no longer supports the foot, then it’s time to replace the shoe, regardless of how long it has been used.